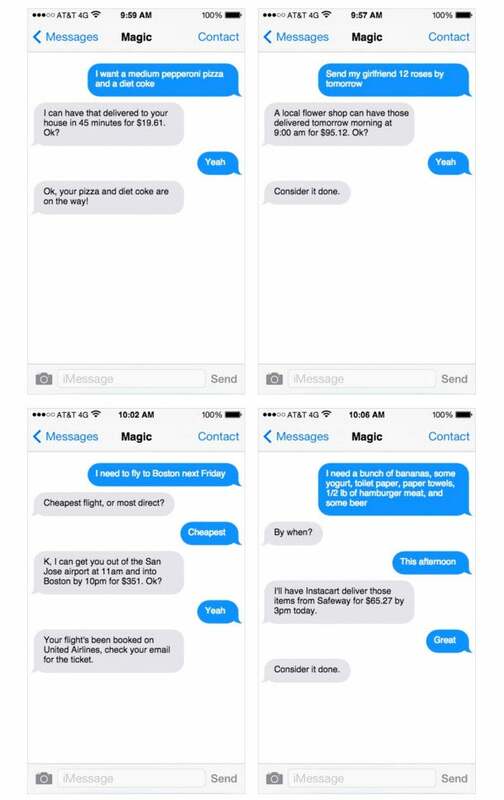 Will texting be the new hip, retro user experience for digital content? 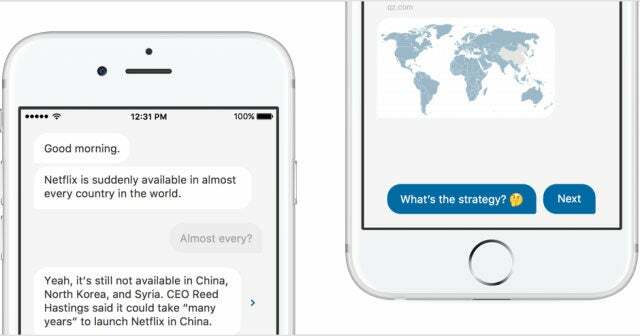 Digital news outlet Quartz, which is owned by the parent company of The Atlantic, just announced a new app for displaying and featuring news that looks and operates like the texting screen on your smartphone. Users communicate with the app as if they were texting with a friend. The app answers questions about the news, populates the text feed with gifs and emoticons, and just like your friends, it learn what interests you and what doesn’t. Each text session lasts only a few minutes, perfect for when you are waiting in line or on the bus. The app will send push notifications when there is a major update in a story you are following, and sometimes the updates arrive in haiku form -- a pretty adorable feature. 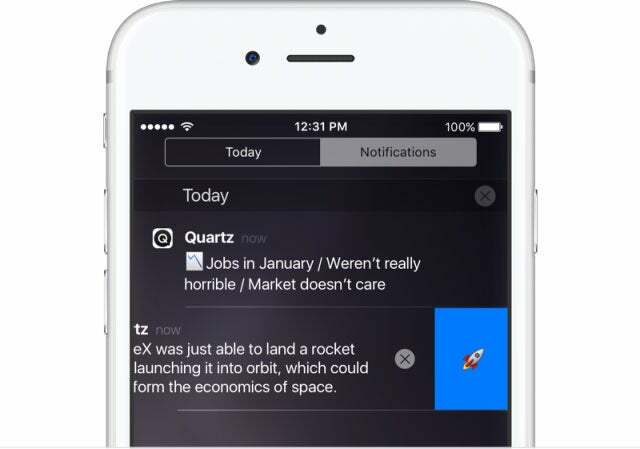 The Quartz app features stories from many news outlets, not just stories written on the platform. Also, if a user is following the stock market and has an Apple Watch, the Quartz app will have a single emoji pop up on your watch communicating whether the markets are doing well or poorly. While the app is currently only available for iOS, Quartz says it will soon release an Android version. It’s free for users and will generate revenue from ads displayed within the app. The idea of meeting consumers where they are has been a chronic, unabetting Damoclean sword over the journalism industry. The pressure to evolve rapidly has only accelerated as the number and types of screens in our lives has grown. Quartz isn’t alone in its endeavor to utilize a text-messaging user interface, which, without exaggerating, might be dubbed a bit of an app-splosion. 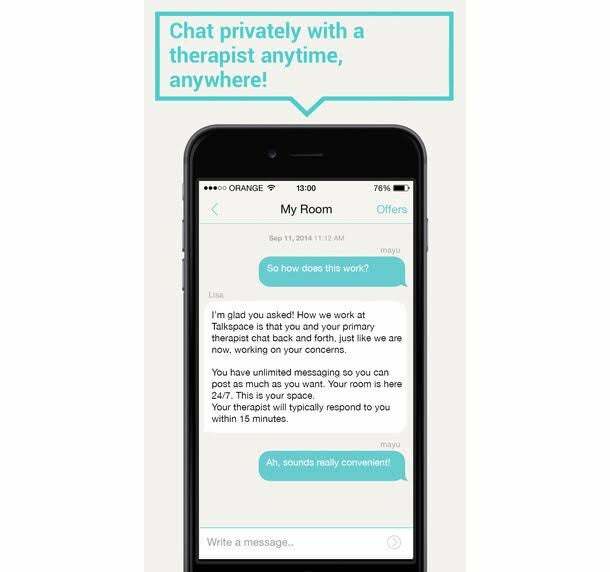 For example, Talkspace is a service that lets users message with a therapist for $25 a week via their smartphones. Jonathan Libov, a partner at the esteemed venture capital firm Union Square Ventures, says that he is thankful to be able to text the New York City MTA to find out when the next bus is coming. “Sure, an app that put the bus on a map would be more rich in information, but when I got to texting Bus Time I thought, “Thank god I don’t need to download another f------ app for this,” Libov wrote in a blog post. There is no learning curve for texting, Libov points out. Everyone who uses a smartphone understands it intuitively. “There's only really only one way to skin this cat: The text I type is displayed on the right, the text someone else typed is on the left, and there's an input field on bottom for me to compose a message,” Libov writes. And in a world where consumers are constantly overwhelmed trying to keep up with the barrage of new apps and technologies every day, along with the latest news, then simple, intuitive user experiences might just be where it’s at. Want to Text and Walk and Still See Where You're Going? Apple Has a Patent for That.